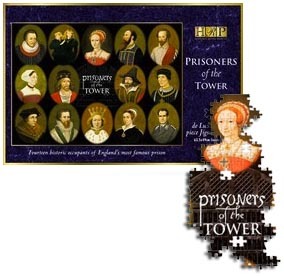 A 1000 piece jigsaw featuring 15 famous prisoners of the Tower of London. Ages 10+. Historic Royal Palaces (HRP).